Sciblogs | When did the Anthropocene start? 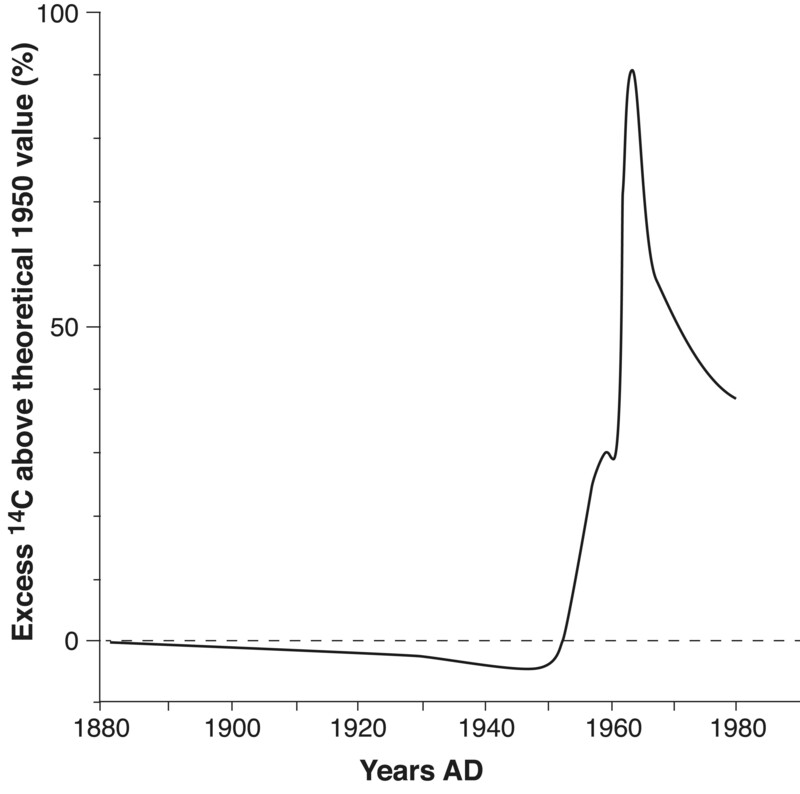 When did the Anthropocene start? Guest post from Helen Bostock, president of the Australasian Quaternary Association. Edited by Rebecca Priestley (VUW). In 2016, members of the International Commission of Stratigraphy (ICS) will decide whether the Holocene epoch has given way to the Anthropocene and, if so, where the boundary between the two epochs should lie. In this blog we present the New Zealand perspective, and invite your feedback and comments, which we will compile into a response to the ICS. As early as the late nineteenth century scientists were suggesting that humans were starting to influence planet Earth. This idea was resurrected in 2000 by Paul Crutzen and Eugene Stoermer, who suggested that we had left the Holocene epoch and entered the “Anthropocene”, an epoch in which human activity dominates over natural processes. The term Anthropocene is now regularly used in the geological and environmental literature and there are several new journals; “The Anthropocene” and “Anthropocene review” and “Elementa: Science of the Anthropocene”, specifically focussed on this topic. The problem is that different disciplines have different definitions of the Anthropocene. A key problem in attempting to define the Anthropocene is distinguishing between the detection of human impacts, and the point at which the magnitude of human impacts on the Earth system exceeds the influence of the natural systems. Most of these dates and definitions are Northern Hemisphere-centric and do not have any relevance for New Zealand or the South Pacific Islands. The Pacific islands only were discovered and populated by seafaring Polynesians in the Late Holocene, with colonisation of West Polynesia from around 200 BC, central East Polynesia from around AD 900-1100, and Hawaii, Easter Island (Rapanui), and South Polynesia – including New Zealand – from around AD 1200-1300. The earliest arrival in New Zealand was not until the 13th Century, possibly around AD 1280. There is considerable evidence that Maori had a significant impact on the landscape from about 700 years ago and were responsible for the extinction of many large birds around 1400 AD. Abel Tasman was the first known European to reach New Zealand in AD 1642. Following the arrival of James Cook in 1769, other European explorers, along with missionaries, whalers, sailors and traders arrived in New Zealand, with small whaling and sealing stations established around the country from the early 19th Century. The Treaty of Waitangi was signed in 1840 and large pakeha (primarily British) settlements continued to develop during the 19th Century. 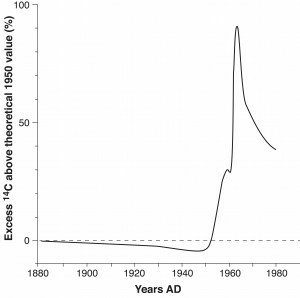 Further dramatic changes in the vegetation occurred during this European era. The large-scale development of grasslands occurred in the late 19th and early 20th centuries with the so-called “grasslands revolution”, which lead to forest clearance on lowlands through to steeplands, and the widespread and drainage of wetlands. The 1950s was an important decade for New Zealand, as it was globally, with a major expansion of human population after World War II, intensification of land use, and the development of many new technologies and materials (such as plastic, artificial fertilizers, and the advent of new breeds of crops such as rice, etc.). Soil erosion increased and water quality was degraded. This period globally has been called the “Great Acceleration”. These changes have had a major impact on our atmosphere and climate with atmospheric CO2 and methane increasing dramatically after the 1950s. It is now estimated that nearly half of the nitrogen in our bodies was produced in a factory using the Haber-Bosch process. In addition, ever-enduring plastic can now be found in all parts of the Earth – the current estimates suggest the ratio of plastic to marine life in the world’s major marine gyres is 6 to 1 by weight. Climate scientists have also found that, while atmospheric CO2 started to increase at the start of the industrial revolution, from the mid-20th Century there is unequivocal evidence for fundamental shifts in the state and functioning of the Earth system that exceed the range of variability of the Holocene, and which are driven by human activities. The mid-20th Century was also the start of the nuclear age. The first nuclear bomb was detonated by the USA on 16 July 1945. The first thermonuclear bomb (or hydrogen bomb) was detonated by the USA in 1952. This new type of bomb, which the Soviet Union first tested in 1953, produced much larger yields of fission products and blasted radioactive isotopes high into the stratosphere where they spread around the world and were deposited as radioactive fallout. The14C bomb curve. Courtesy of Richard Gillespie. It was a New Zealand scientist, Athol Rafter, who first observed that nuclear weapon detonations – particularly the hydrogen bomb tests – were significantly increasing levels of radiocarbon in the atmosphere. The global fallout of bomb-test radioisotopes in the 1960s produced a sudden spike of “bomb carbon” (and other radioactive isotopes strontium-90 and caesium-137) in environmental and geological archives such as soil, sediment, ice, tree-rings, and coral archives. Therefore we suggest that from a New Zealand, and global, perspective, the “Great Acceleration” combined with the “Nuclear Age” at around AD 1950 (i.e. between AD 1945 and 1965) is the best definition for the start of the Anthropocene. Other scientists, however, argue that we are still in the Holocene and the “anthropocene” should remain an informal unit. Yet another view is that we are in the transition towards the Anthropocene and need a much longer perspective to assess the character of the new epoch: future changes – such as species extinctions and ocean acidification – are projected to be much larger than those we have already seen. They say it should be left to future generations to decide (with hindsight) when the Anthropocene began. This blog is an edited version of “the advent of the Australasian Anthropocene”, published in Quaternary Australasia, the full article and citations can be downloaded from here. What is your opinion on the start of the Anthropocene? Have your say and take a moment to fill in this related survey. looking at the geological history of the a Earth, with regard to mean surface temperature, sea levels, etc, it seems perfectly clear to me that we are still in the Holocene, which apparently began around 11,700 years ago when the great ice sheets melted, and formed puddles like the Great Lakes. All of human history is within the Holocene. So you could rename the Holocene the anthropocene, but I don’t see any need for this.